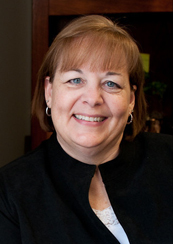 Terri joined the firm in August of 2009 and is the firm’s Administrator. Terri has extensive experience in the legal field as a legal assistant/paralegal in both the private and public sectors, as well as office management experience in small businesses. Her knowledge, legal skills, and practical approach to management helps our firm provide excellent support to our clients. In her other life, Terri shares her home with her husband and three fur children. She enjoys spending time with family and friends, traveling, reading, and gardening.